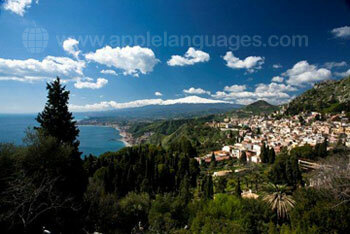 Sun, irresistible, azure seas and history – Taormina has it all! Throughout the centuries, Sicily has been coveted and conquered by innumerable invaders, resulting in a unique mosaic of cultures and influences. 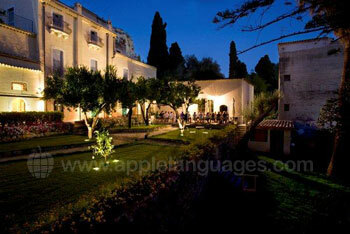 This is reflected in a rich and varied cuisine, fascinating traditions and incredible historical sites. 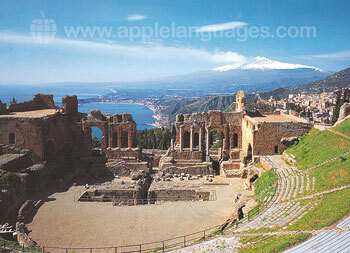 From the ancient Greek theatre, perched high above Taormina, you’ll behold a breathtaking vista of the distant Mt. Etna and the beautiful bay below. 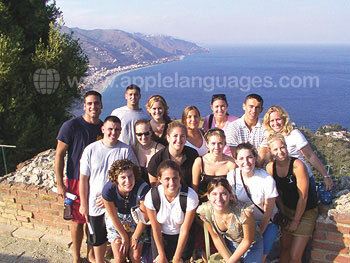 Study on this over 50s Italian language holiday in Taormina for an experience never to forget! 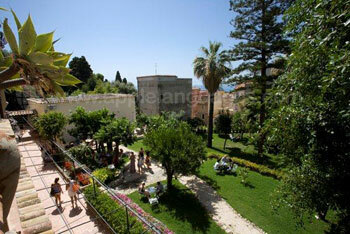 Our school is located in the centre of Taormina, just a short walk away from blissful beaches. Enjoy the amazing views from the rooftop sun terrace, socialise in the student lounge or do some extra studying in the library. 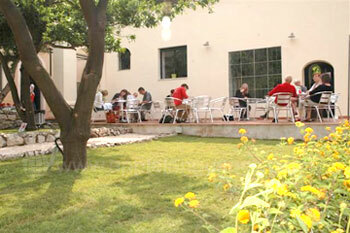 All 8 classrooms are air conditioned and there is an Internet café with free Internet access. 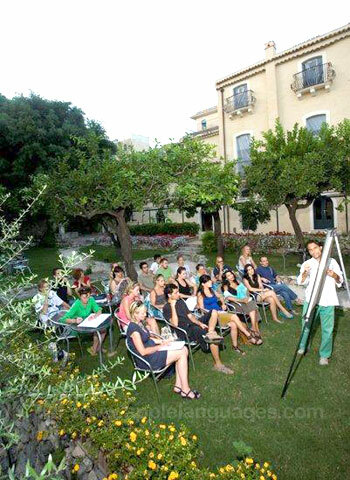 The course consists of either 10 or 20 Italian lessons each week and lasts for 2 weeks, so your language skills will quickly improve! 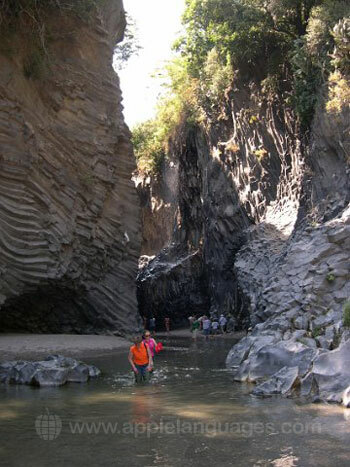 Classes run from Monday to Friday, and are finished by the early afternoon, giving you the rest of the day to explore Sicily! No matter what you’re looking for from your accommodation, our school will have an option to suit you! 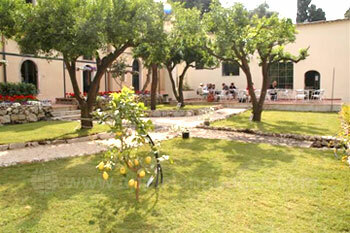 Host family accommodation is the ideal way to soak up as much of the language and culture as possible. Choose between bed and breakfast or half board (2 meals per day). 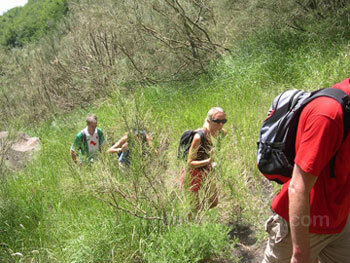 Enjoy Sicilian hospitality and extra language practice with the locals! You may prefer to live with other Italian language students from our school, in a shared apartment, with communal bathroom and kitchen facilities. Shared student apartments are perfect for those who prefer to cook for themselves and socialise with other students during they stay in Italy. 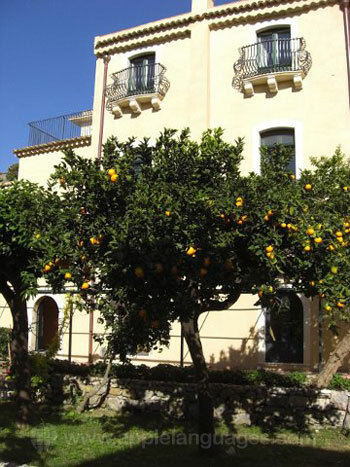 If you’d prefer your own space whilst you learn Italian in Taormina, our school will gladly arrange a private, self-catering apartment, or bed and breakfast hotel accommodation for you. Experience the true Sicily with our school’s varied cultural program, included in the price of your over 50s Italian course in Taormina. Step back in time to ancient cities like Syracuse and Agrigento, witness the awe-inspiring Mt. 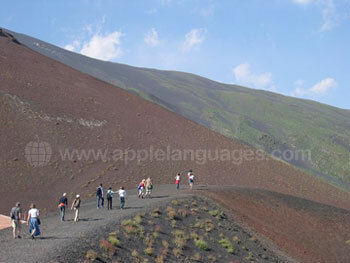 Etna up close, and enjoy seminars on Sicilian history and culture. You’ll also have the chance to sample the eclectic cuisine of Sicily, tasting various wines, cheeses, olive oils and local favourites like ‘granita’. This over 50s Italian language holiday in Taormina is suitable for anyone aged 50 or over, with at least an intermediate knowledge of Italian. 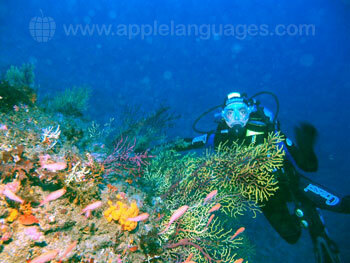 You’ll leave Sicily with a much better understanding of the language, and the desire to return this magical island again and again! 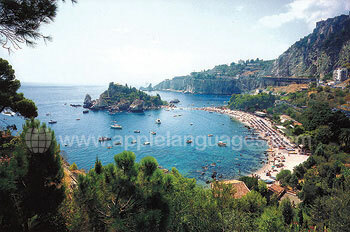 The nearest airport to Taormina is Catania Airport. Our school offers one-way and two-way transfers from here, although this service carries an additional charge.